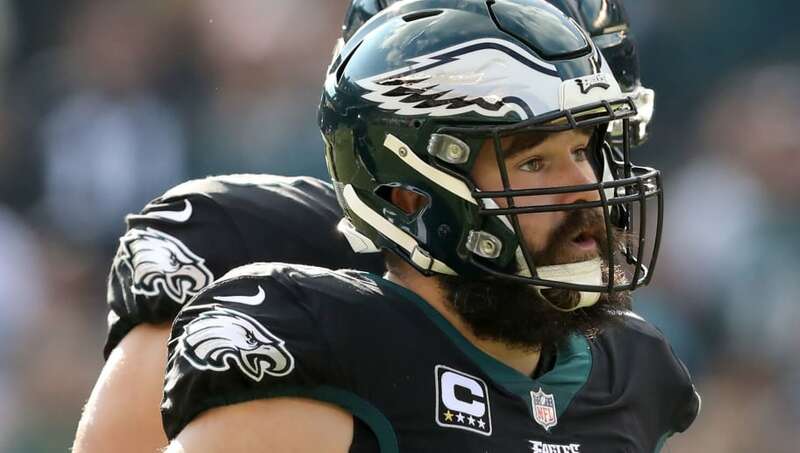 You all saw Jason Kelce's Super Bowl speech after the Eagles won their first title in franchise history. You didn't really think this man was sane, did you? Offensive linemen are known as underrated mammoths of men who have to be tough. That toughness doesn't just come from battling in the trenches snap after snap, although that criteria should be good enough. No, some of these linemen have to go above and beyond to really get appreciated. After this Kelce news, no one should ever question the toughness of this man ever again. Kelce said he played through an MCL sprain, a broken foot, a torn elbow, and more last season. Don't forget, people were actually surprised when there were rumors about him potentially retiring. Forget about playing football again, how is his body still attached? There's no more fear about Kelce potentially walking after he signed an extension through 2021. His presence on this Eagles' offensive line is extremely important, and it appears there's no injury that can really keep him down. You never would've thought Kelce was dealing with this kind of pain. His elbow issue was known after he went down in a November matchup against the Saints, but other than that, the Eagles and the All-Pro center did a pretty excellent job of keeping this all under wraps. How did all of that possibly happen without him missing a single game? Soon, the name Kelce is going to be synonymous with toughness.